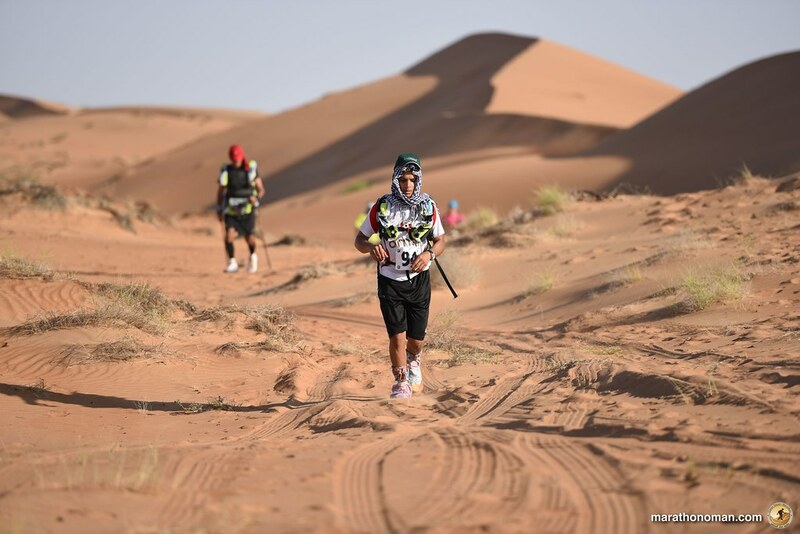 “This stage will make the difference, not only for the top runners but also for the rest of the group” – explains Ahmed Al Malki, the Oman Desert Marathon Race Director. 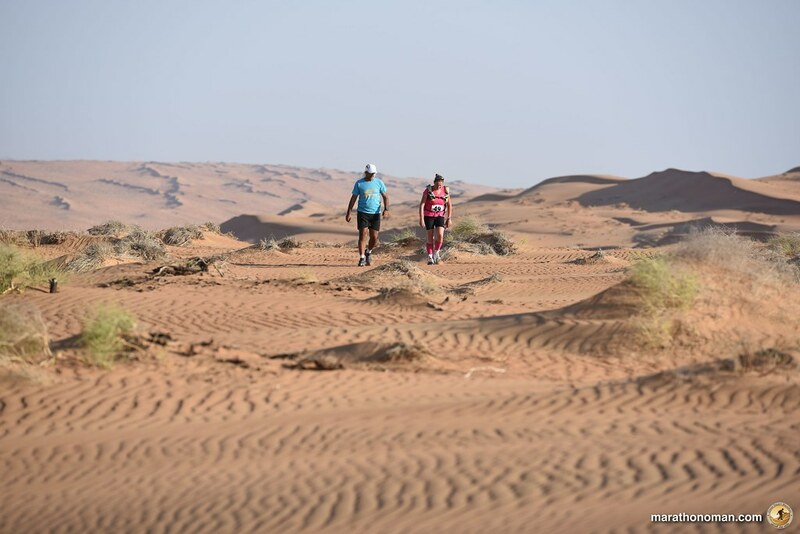 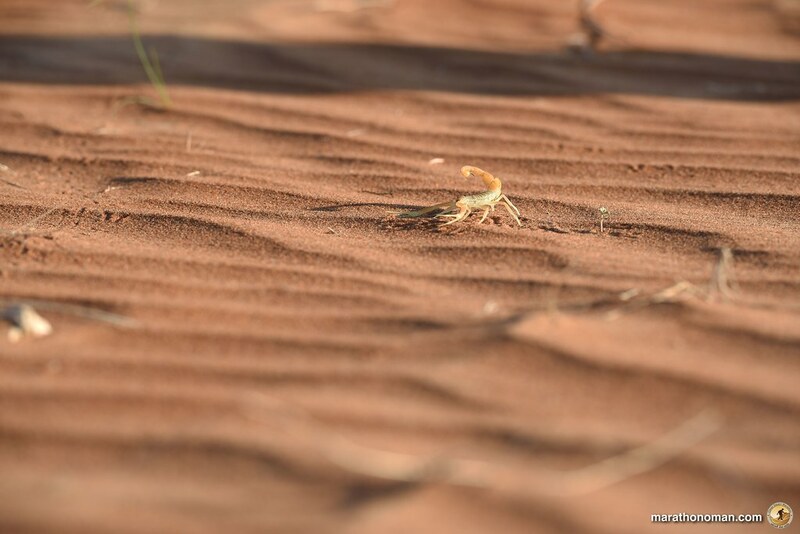 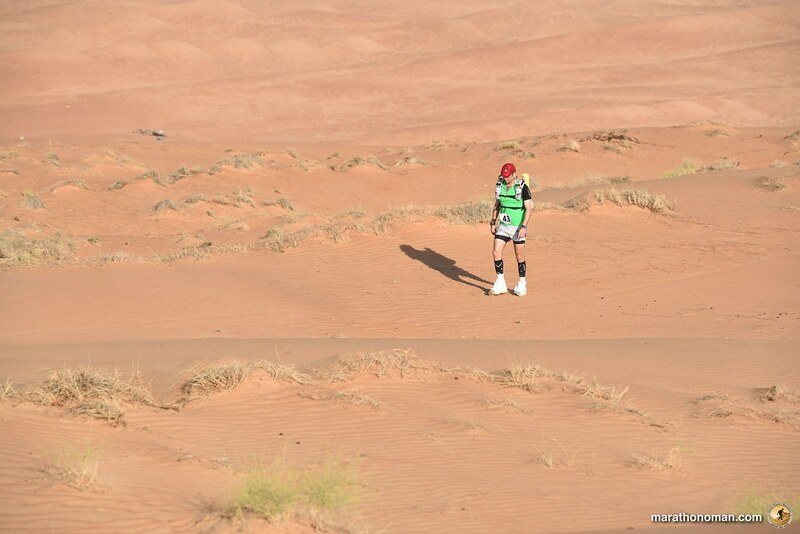 That’s because this section is one of the hardest stages of the race: now the runners are in the middle of the desert, far away from ant sign of human presence and surrounded by virgin sands and untouched nature. 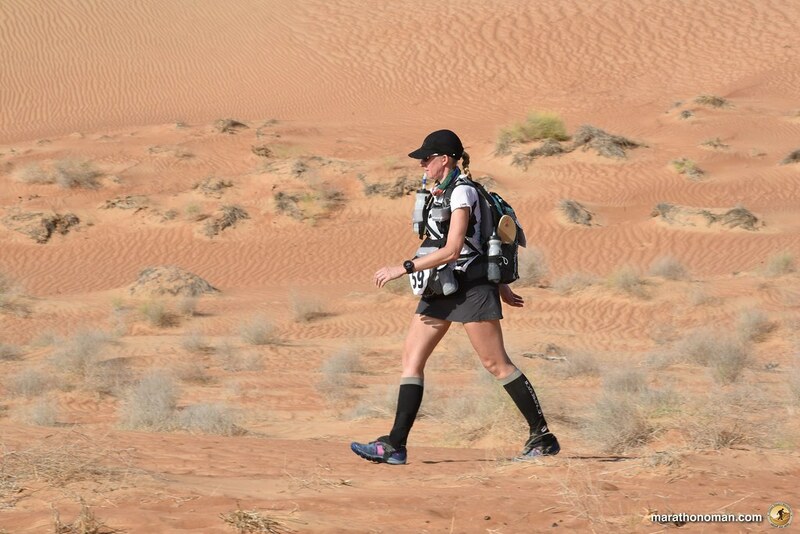 The competitors meet at 6.15 on the start line for the daily briefing and just after it, the race starts, at 6.30. 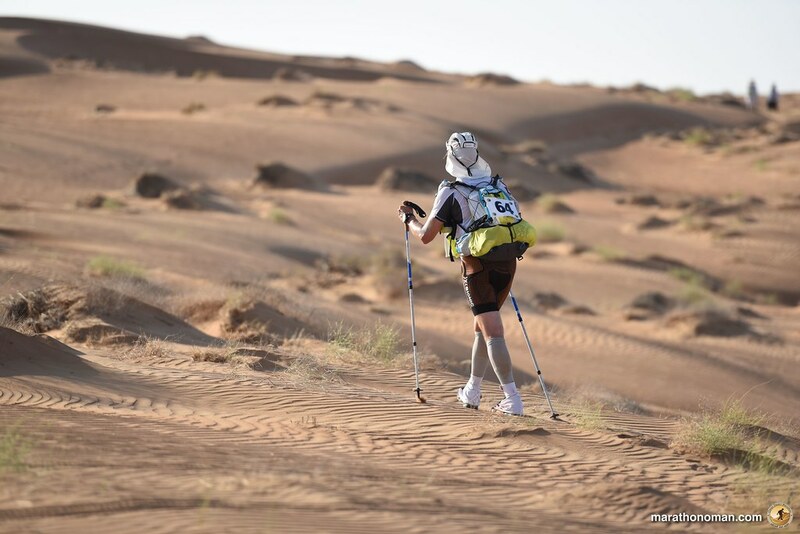 Even if the sun was still low in the sky, this morning there was quite high rate of humidity and this didn’t help the runners. 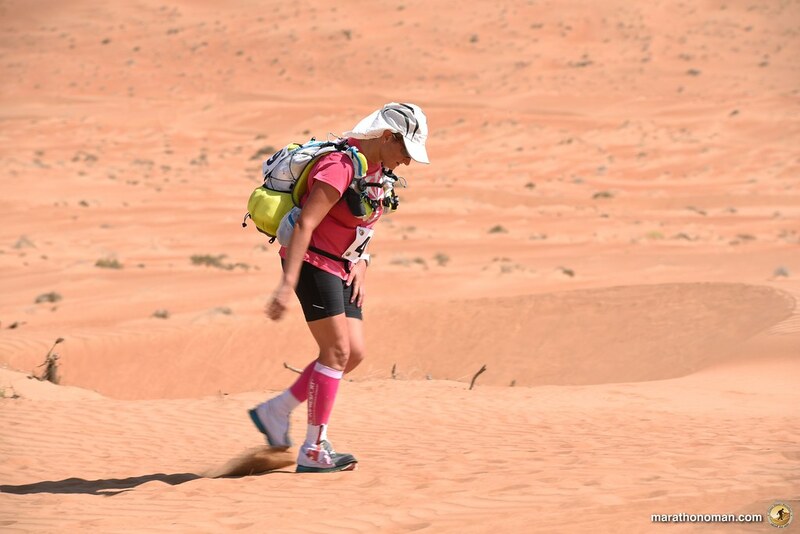 The humidity on one side, makes the sand more compact and easy to run on, but on the other the temperature perceived is higher and this increases dehydration. 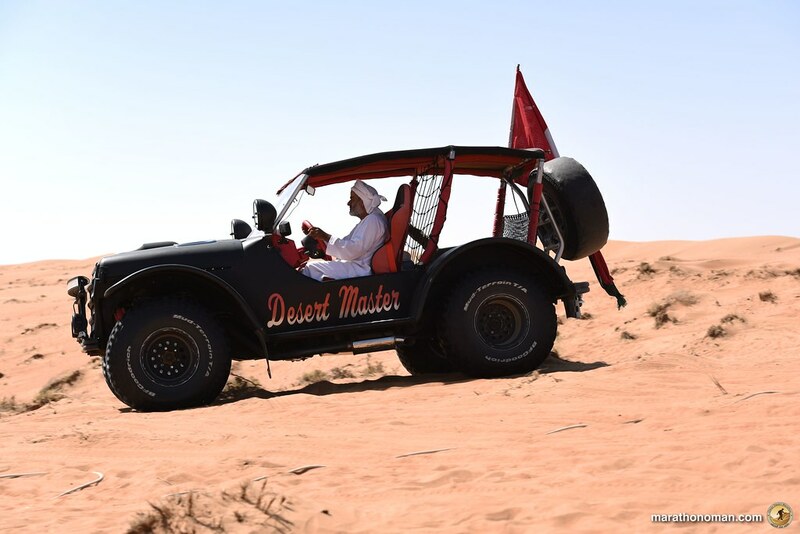 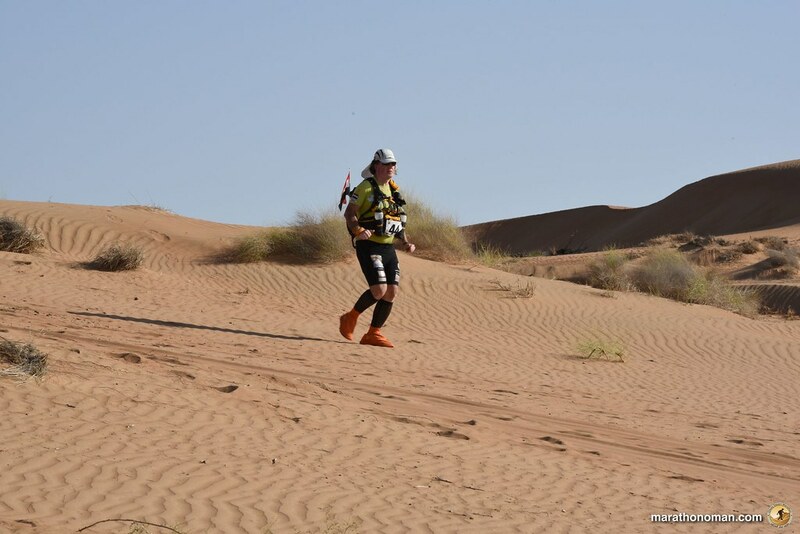 The 29 km of the third stage are characterized by a fast start od 2 km and then 3 difficult sections of soft dunes, with in between little sections faster and easier ground. 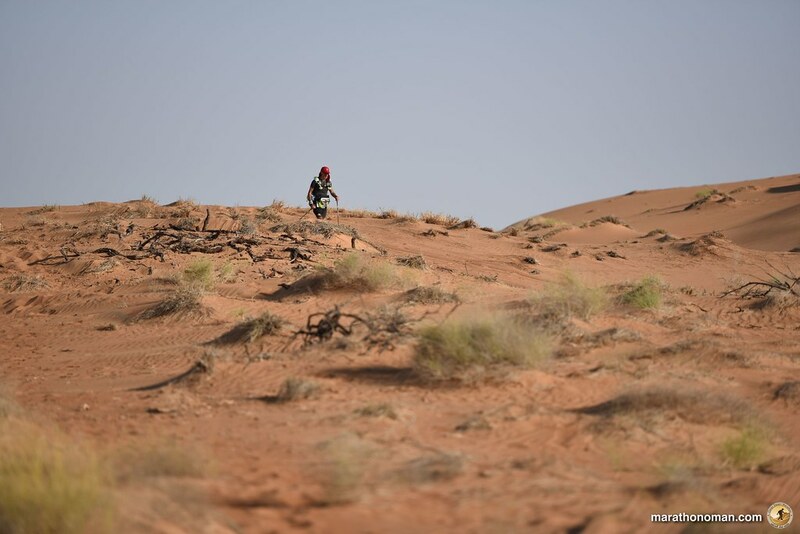 The first checkpoint and refreshment is located at km 10,5 , just after a high dune and on an immense plateau. 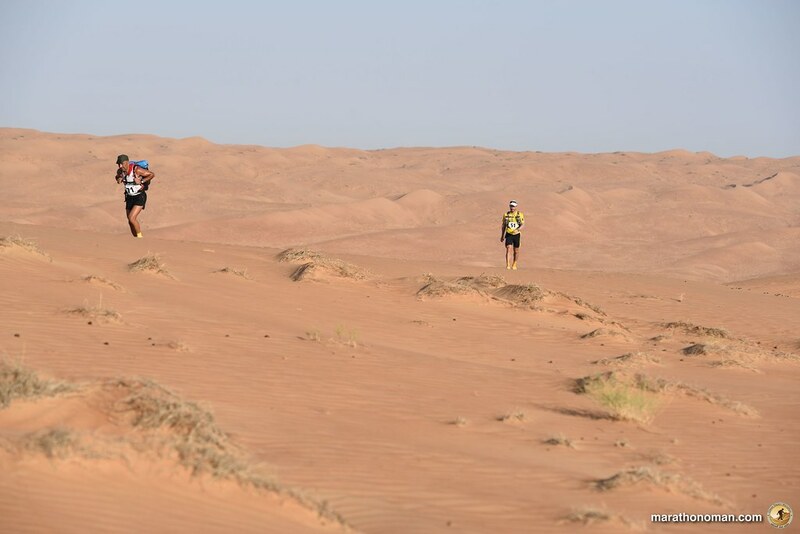 The horizon at the end of the plateau marks the beginning of the second challenging section and at the end of it, at km 20 there is another checkpoint and refreshment located just on the top of the dune. 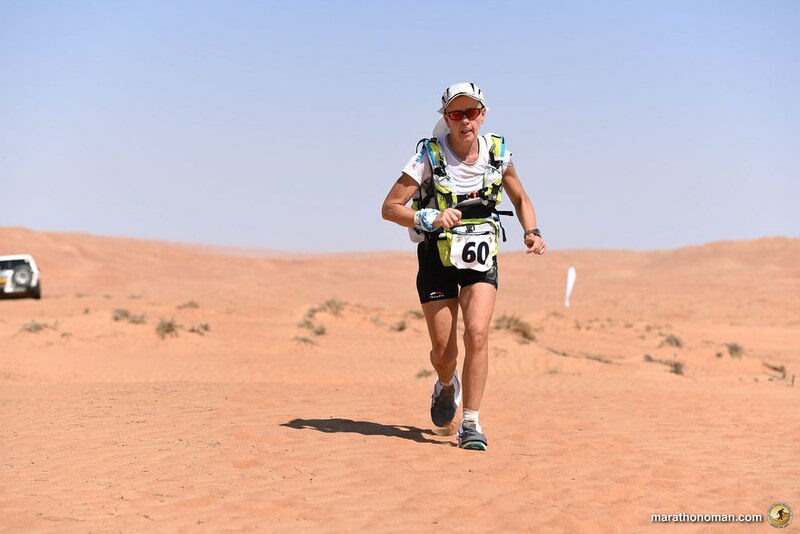 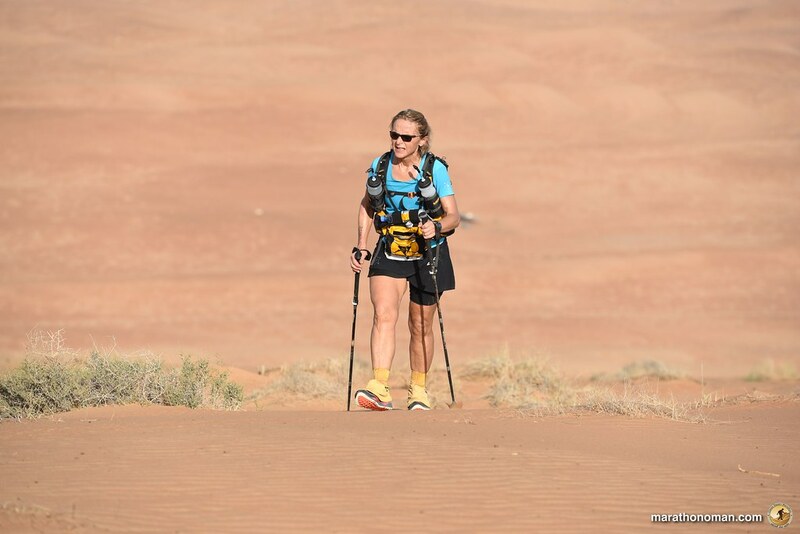 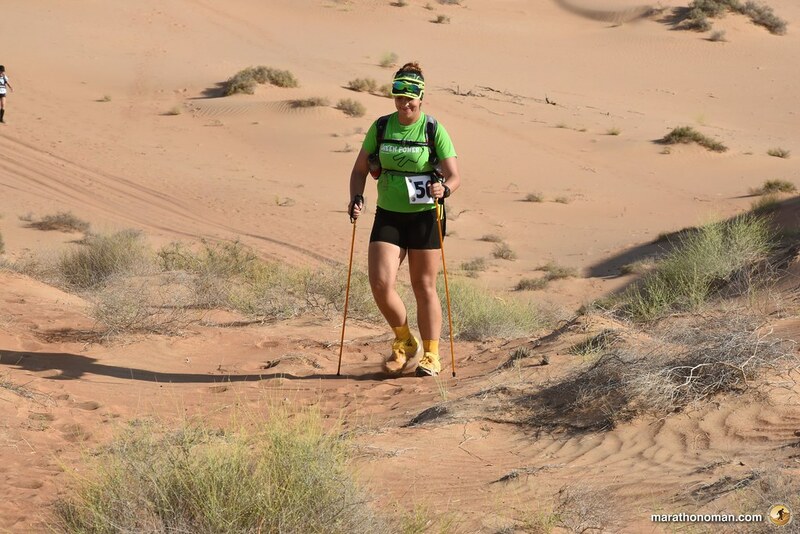 First again Rashid Al Murabiti in 2hours 6 minutes and 59 seconds followed by Salamah Aaqra 2 hours 9 minutes and 9 seconds and third position for the Ukrainian Evgini Glyva, with 2h11’12’’ again first woman Elisabet Barnes, absolute 8th position with 2 hours 57 minutes and 54 seconds. 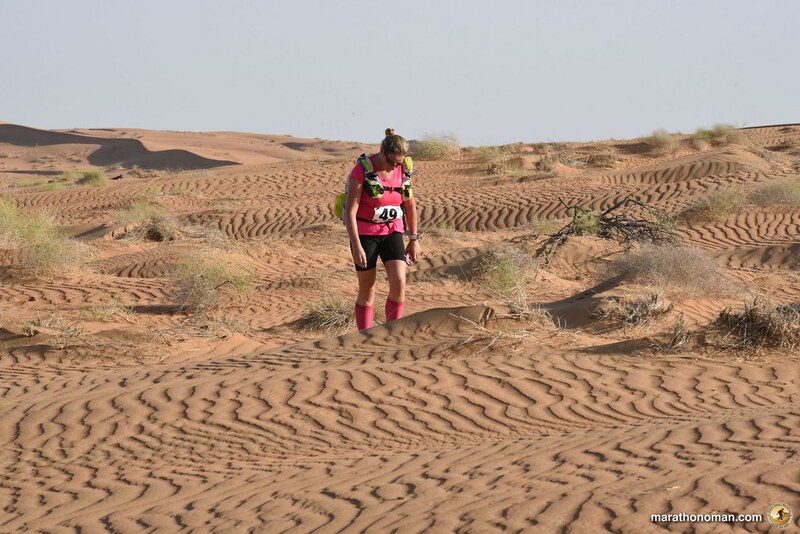 The French Natalie Marguerit and the Uruguay Silvia Amodio had been fighting for the third place in the female ranking for almost all the stage, but at the end Silvia was able to pass her rival, that had to slow down for painful blisters affecting her feet. 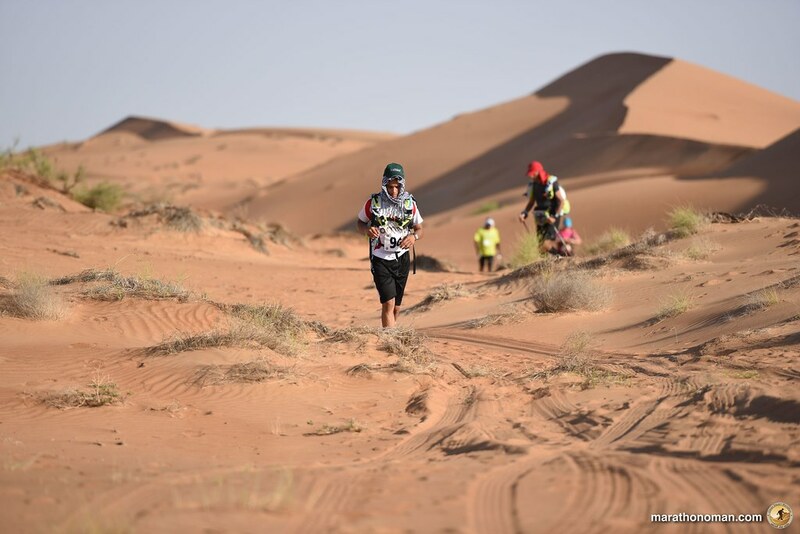 “The ascent and the dunes of this stage gave a big advantage to Rashid Al Murabiti and to the Jordan Salamah Aaqra, but I expect a great performance by Evgini Glyva on the fifth stage, where there is a long portion of flat. 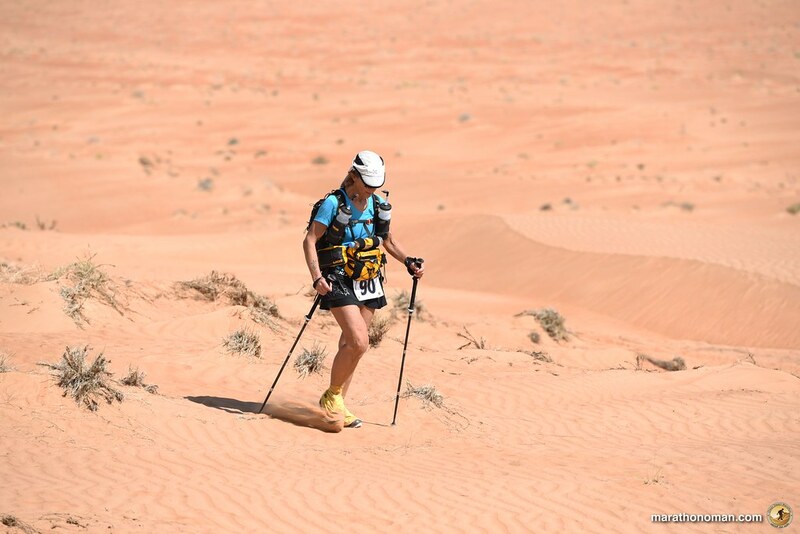 This kind of ground is where the Glyva gives it best” – explains Ahmed Al Malki. 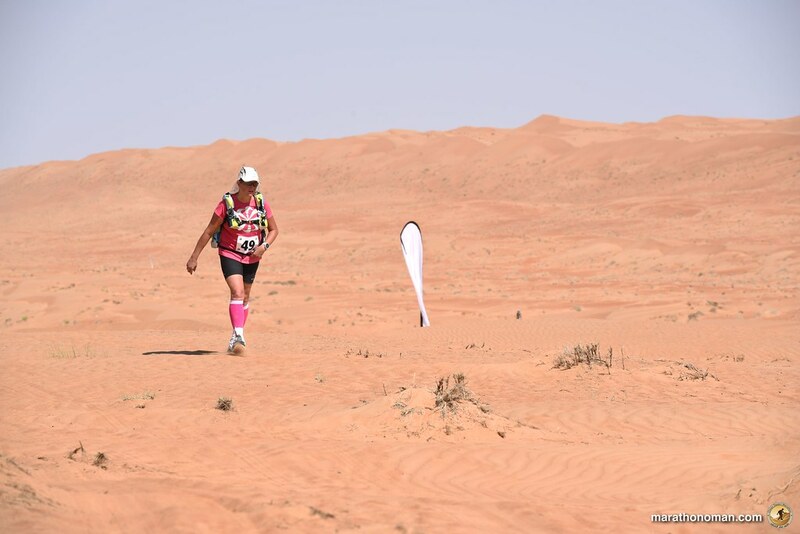 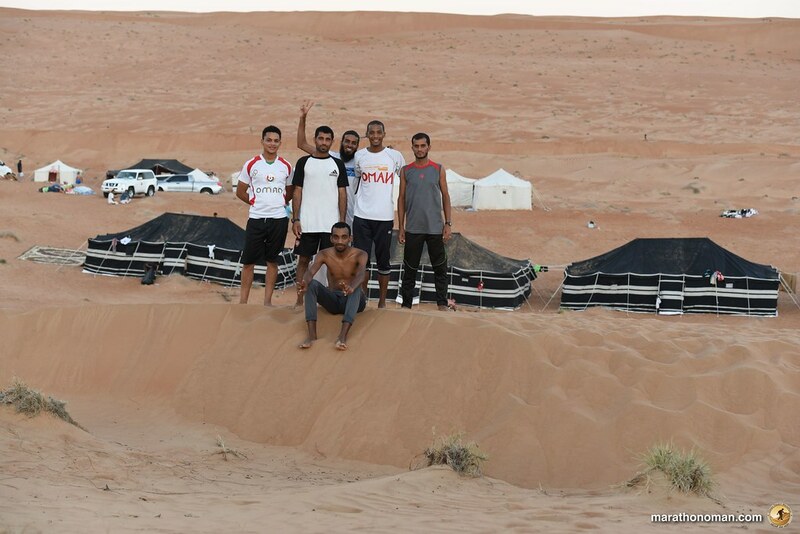 Most of the runners have been struggling with the dunes and the high temperature while the top runners got to the camp and found the shade of the tent to rest and have some food. 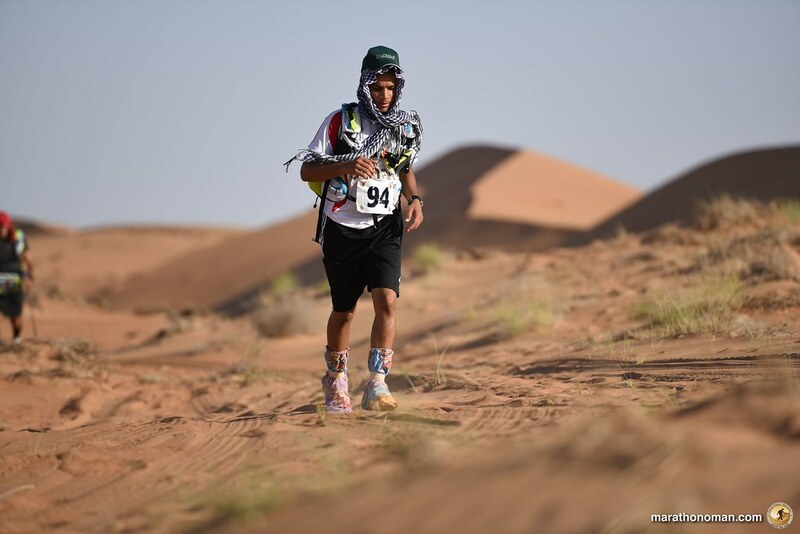 Unfortunately two Omani runners, Abelloh Elfandi and Ahmed Aljabri did not finish the race for the fatigue and the high temperature. 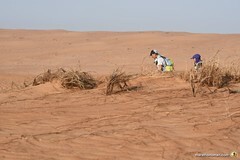 Both of them now they feel good and the doctors verified their conditions before letting them go home. 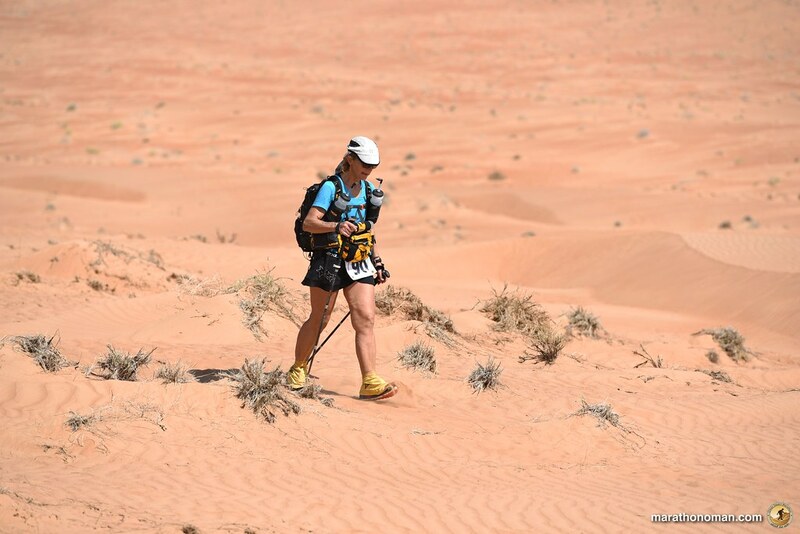 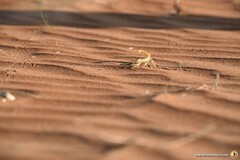 Tomorrow we expect another tough day: 28 km of dunes and sands.